Your bedroom is your sanctuary and so you want it to be cosy and comfortable. I think this is especially important in winter. 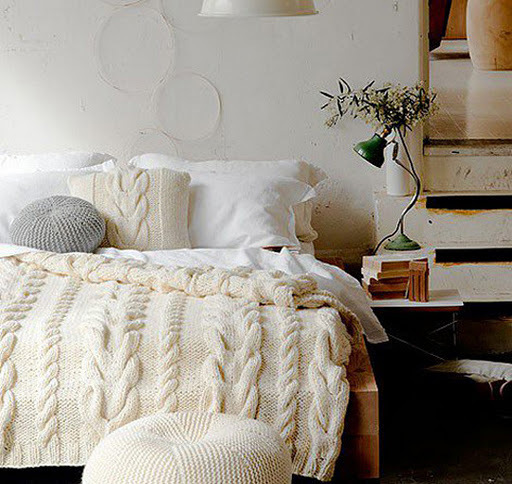 Here are a few tips to make your bedroom extra cosy this season. When you want a good night’s sleep, you need to be as comfortable as possible. In winter, you especially need to stay warm. In winter, you can save yourself a lot of money if you don’t need to have the heating on overnight, so getting new bedding is important. New bed sheets can make bedtime much more comfortable and cosy. Cotton is usually best to go for as it is soft and gentle on skin. It is less likely to be itchy, compared to a synthetic material. 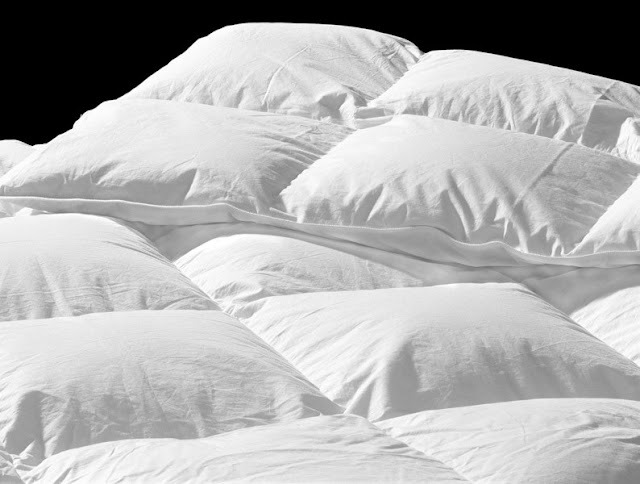 During this time of year, a thicker comforter can help to keep the heat in and keep you cosy. If you decide to go for a new comforter, you must decide what kind of filling you want. It comes down to down filled, or a down-alternative. Down has many advantages or being particularly lightweight, yet still insulating. The natural insulation from the feathers is an attractive option to many. Down can be the best option because it gives most warmth, without being heavy and making you feel a little smothered. Down-alternative may be better for some as it is a little cheaper. It is also the better option for those of you with allergies. The drawbacks with a down-alternative comforter are that it needs more filling to get the same insulation. This can make it heavier and may make you feel a little more constrained or smothered. If you have decided to go for the down option, there are a further two options within that. Do you go for a duck filled comforter or a goose filled comforter? Goose down is the better option as the feathers are longer. They are plucked from geese that are older. Duck down is often shorter and can come from younger ducks. It just means that the insulation is likely to be better with goose down. If you don’t already have pillows and cushions, these are a must for a cosy room. From a practical point of view, if you use your bed to watch movies, there is nothing better than cosying up with lots of cushions. 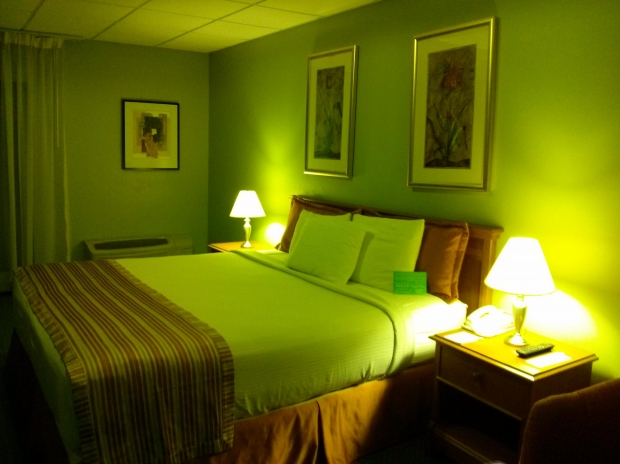 From a visual point of view, it will make the room, and bed, look so much cosier too. Candles are brilliant in winter. We get such dark evenings that they can not only be used as a source of light, but can add a cosy feel to the room. Scented candles are a good option as you can get a seasonal one. The scent of cinnamon or pine with get you feeling festive, as well as cosy. If you don’t have much lighting, I would recommend investing in a lamp or two. A floor lamp can look stunning, as can some smaller, bedside lamps. You don’t want to always feel like you have the big, bright, main light on, particularly in winter. What are your top tips for making a bedroom cosy this winter? Good health is essential to our wellbeing. We all know that we should be eating plenty of fresh fruit and vegetables. And we all know that staying active is key for a healthy body and mind. But there are plenty of things you can do around the home to maintain good health too. It is possible to design your home to ensure you can not only maintain your health but improve it. Your choice of windows for your home is very important. You need to be able to allow plenty of fresh air into your home every day. Fresh air replaces stale and damp air to help you breathe better. It can also help to refresh your fabrics and carpets. Windows should be lockable for security. They should ideally be locked into open positions that allow you to enjoy fresh air without risk of anyone getting in. Windows should also have safety features upstairs to prevent children falling out. Double glazed panels should keep unwanted acoustics out of your home. They should also keep the heat in so you don’t feel cold in the house. Cold homes can harm your health. Aim to keep your ambient temperature above 18 degrees celsius. The glass should also keep UV rays to a minimum, and offer a degree of privacy. Natural light is essential to our health. It helps regulate our body clock. Natural light also helps us maintain a good mood and emotional well-being. A good view to the outside is also essential for our mental health. The better the view, the happier we should be. Plenty of natural light is desirable, but use Venetian blinds to deflect unwanted rays. All doors in your home should prevent drafts or unwanted movement of air. They should keep you warm and prevent fire penetration. Doors to the outside should have extra locking mechanisms to ensure your safety and security. Many doors include feature windows to help natural light filter in. They also provide you with a view of the outside so you can see who is calling. If you have any physical difficulties opening doors, choose door handles that are easier to manage. You may even benefit from installing electrical doors with an auto opening. This can be particularly handy if you use a wheelchair. Paned doors should have special, toughened, safety glass to prevent accidents if they break. The exterior of your home is very important to your health. It provides a great space for being active. You might have a family trampoline or swimming pool to provide opportunities for sport led activities. Some people install a gazebo or decking area for T’ai Chi or Yoga. 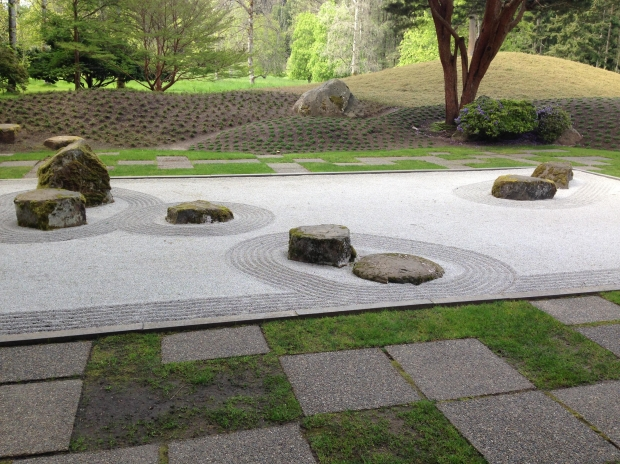 Zen gardens can be very helpful if you like to meditate. They are peaceful and relaxing. This can help reduce stress levels too, improving your physical and emotional health. Gardens with colorful planting are also very good for your health. Color therapy has long been used to promote mental balance. Flowers help us feel more cheerful generally. Natural greens from grass lawns are also thought to promote good health. Gardening is a very healthy hobby to choose as well. It is quite active, and provides plenty to do all year round. A water feature can be very calming, as can windchimes. You can use your garden for dining if you have a decking or patio area. Exposure to daylight and sunlight can be good for you if you take the right precautions. Best of all, your garden can provide you with plenty of fresh, healthy foods like fruit and vegetables. Straight from your garden to your table is about as healthy as you can get! The bedroom is one of the most important rooms in the house. Sleep is crucial to your health. Without a good night of sleep, your health can quickly degenerate. Your mind suffers most at first. Focus and concentration are hard if your sleep is lacking even for one night. Over time, your memory can also be affected. Sleeping files away the day’s memories. Without this essential process, you can soon feel very forgetful and confused. Sleep also heals the body when we are injured or ill. It’s important to choose blinds and curtains that block out all the light. You need your bedroom to be very quiet, so your sleep is not disturbed. Try not to use any screens like TVs or smartphones in your bedroom. Keep colors peaceful in pastel blues and pinks. Try to avoid lots of busy patterns, and keep dresser surfaces clear of clutter. Your bed is a very important piece of furniture. Problems like arthritis or bed sores can be relieved with hardside waterbed mattresses. The waterbed was developed to help relieve such conditions. It can also help aid restful sleep as a stress reliever. You should keep the bedroom temperature cool at about 18 or 19 degrees celsius to ensure you aren’t too warm as you sleep. 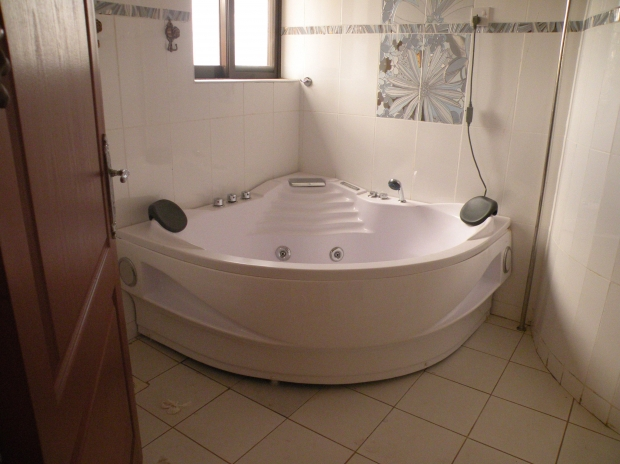 A jacuzzi bath is ideal for soothing aching muscles and joints. It is also a great way to unwind after a busy day. Some cultures use Sauna to relieve stress and maintain good health. These can be built into a large bathroom area, or even situated outside. Showers that have built-in music systems can be used to enhance your mood. Some lively music first things in the morning can help energize you for the day. Bathrooms should have natural light and opening windows. This helps steam and moisture dry out quickly to avoid harmful mold spores. 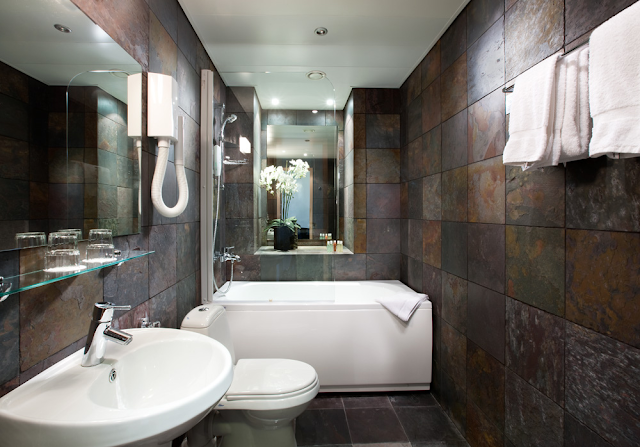 Bathrooms should be cleaned daily to reduce the risk of bacteria building up. Grouting and seals also need special attention on a regular basis. 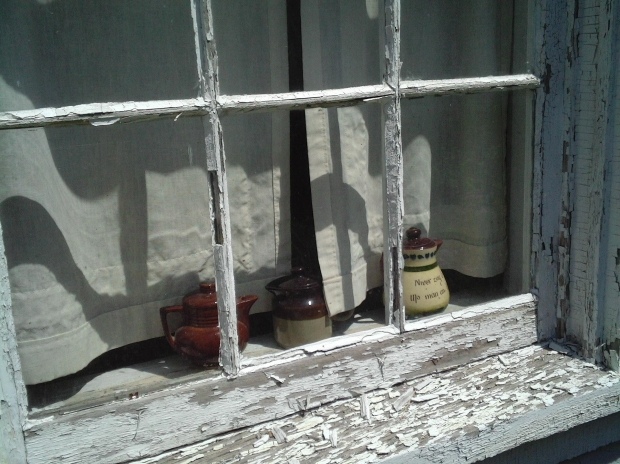 Sunlight can cause muck to build up quickly. Once you have finished in the bathroom, it may be best to use a blind to avoid direct rays. Your kitchen should include a good sized refrigerator to store plenty of fresh fruit and vegetables. Kitchens are very dangerous places, but the risks can be reduced with clever design. Use soft close drawers to avoid fingers becoming trapped. Pots and pans should be kept in a mid-level drawer. This means that the heaviest items are not being pulled out from above your head or low near the ground. Thorough cleaning every day will prevent food residue. Food crumbs cause bacteria and attract insects and rodents. If you struggle to vacuum regularly, invest in a robot vacuum. Some will mop the floor and use UV light to kill bacteria as they go. Make sure windows can be reached easily. They are often situated behind sinks which makes them difficult to reach if you are shorter. The living room is the desired space for relaxing and entertaining. If you sit here a lot each day, you can soon develop poor posture. Aches and pains also creep in if you are not sitting comfortably. Have a clock in a prominent position and aim to stand every thirty minutes or so. You might use the excuse of getting a drink or popping to the bathroom. Your seating should be supportive and at the right height for you to use. Recliners are very helpful for those who suffer from leg problems. Raising the legs can help relax you, easing high blood pressure. However, stiffness in the knees and feet can occur if legs are raised for too long. Use coffee tables situated in close proximity of your seating. This prevents the risk of spills. Natural fires can be comforting but they may cause breathing problems for asthmatics. An outside fire can be a pleasant alternative. TVs should be on a stand ideally. This means they are at the right height for your eye line. When they are wall mounted, they can be too high, causing extra neck strain as you look up. If you have stairs in your home, it is essential they are well lit at all times. It can be very easy to slip, especially if they are carpeted. It may be possible to install small LED lights on each step to light the way, much like deck lights. There should ideally be railings on each side of the stairs for extra security. Banisters and balustrades should be at a good height with limited gaps between. Small animals and children are at particular risk of falling through. Use light paint here to maximize the brightness of the area. A healthy home can be created as a concept for the whole building. Or it may be developed over time, room by room. Everything from the structure to the decor can help improve your health at home. Have a happy, healthy house. The time comes in every person’s life where they either have to deal with a temporary or a permanent disability. Sometimes these ailments are so bad that they render you unable to move on your own. Everyone hates to lose their independence, but luckily, now they do not have to. If you are in the market for stairlifts and are having trouble choosing the perfect one for you, then do not fret, there are many options to fit every one of your individual needs. Sometimes all it takes is just a little research and knowing where to begin your search. Picking the perfect stairlift for you does not have to be a long involving task. Instead, with the proper knowledge before you delve right in, you can simplify your search and leave your mind at ease. 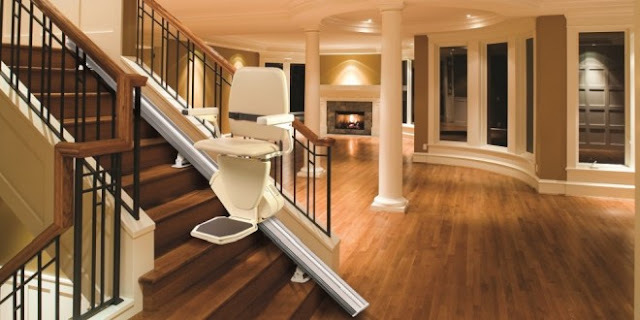 When figuring out what stair lift is the perfect one for you, you have to take into consideration the layout of your home. Do you need to travel up multiple stories, is your staircase curved or straight, and what is the most convenient for your physical situation? The reason this matters is that they make stairlifts in a multitude of different configurations. If you have one long straight staircase, then a straight stairlift is allow that is necessary. On the other hand, if your staircase is circular or has a 90 degree turn at the landing, the best stair lift for you may be two straight ones, or a curved one. It is wise to compare stairlifts before deciding which to buy. Furthermore, the only downside to having two stairlifts is that they require more maintenance. Your other option are outdoor stairs lifts as well. Say you have a deck with a large set of stairs, then a weather resistant outdoor stairlift will be the perfect fit for your home. The only two other options to consider after you choose your stairlift configuration is what will fit your physical state and what design will match your home the best. There are only two different options to change how you ride on your stairlift. They make seated stairlifts and also perch stairlifts. If your joint movements are limited, then you cannot go wrong with a stairlift that still retains all of the safety features, but just so happens to allow you to stand instead. The final question you need to answer to make your shopping experience a breeze is what color or design will fit your home best. This is totally subjective so this must be left to the future owner of their new stairlift. Hopefully, being informed of these options ahead of time will clear up any confusion you may have when you are shopping for a new stairlift. Mulling over these various options in advance will be sure to make your search for whatever stairlift fits you best an experience, rather than a battle. Be sure to take into consideration all of the different options available to you and enjoy making your life easier and more pain free. Within the UK are privy to a home improvement market worth a cool £14 billion (Financial Times 2014); and with more than one in three homeowners (35%) spending in excess of £2000 a year on their home improvements (Saga 2015) it’s then little wonder that we are a nation that has earned the saying of an English Man’s home being his castle. So here we take a look at five savvy tips for improving the exterior or your home in order to well and truly keep way ahead of the Jones next door. Your front door likely serves as the central focus of your exterior, so why not treat it to a suitable makeover? 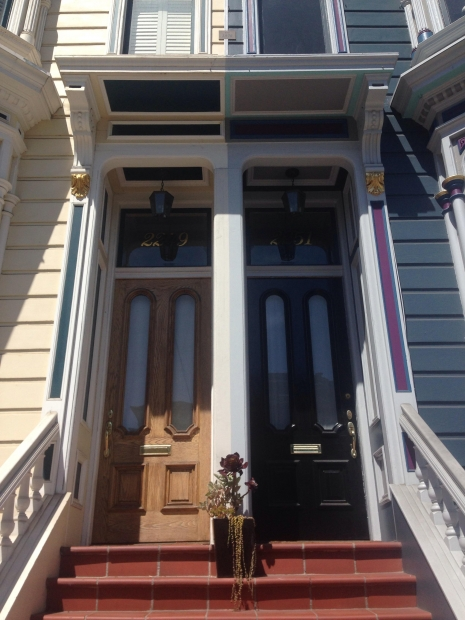 As a starting point you should maintain the door properly (particularly if it’s wood, in which case you can make a real difference with a sand down and repaint every ten years. 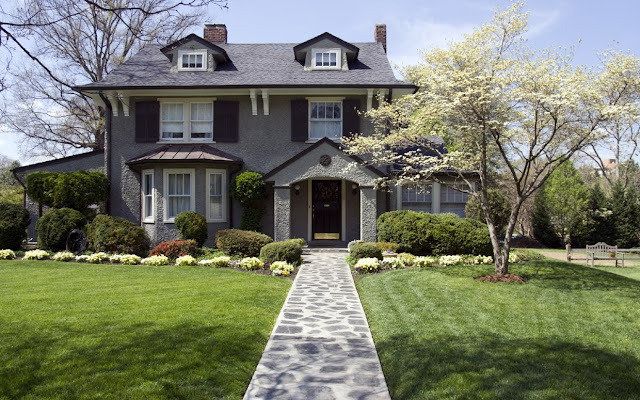 Beyond this however you should think about framing the entrance with suitable planting, such as climbing plants for the door that is porch free or hanging baskets for the home with a porch. You may also want to replace your house number and invest in bright lighting to really showcase your work throughout those dark winter nights. For the property that features a garage there may be few as influential a feature upon the look of their home than their Garage Doors. Neglect this feature and leave your door to rust, peel or fall apart and an otherwise well-kept home can look a decided mess. What’s more with garages often serving as a through way into the home garage doors should also be considered as a vital link within your home’s chain of security. If your exterior features a lawn then keeping it cut and tidy is essential. You can also frame your lawn all year round with winter loving bedding plants such as pansies, Violas, Primrose, Polyanthus or Sweet Williams. And for the frontage that is decidedly lawn free the addition of a few colourful pots and shrubs can work wonders whilst still achieving the ultimate low maintenance exterior. Finally you may want to add a little interest to your home through climbing plants, just be sure to use a wooden trellis that is placed away from your brickwork, as plants such as ivy can cause havoc for rendering and pointing). The fascias upon your home (the parts that form the protective shield under your roof) can very often make for seemingly inconspicuous items, yet with a quick clean up your entire exterior can look that little bit extra shiny. And if you don’t yet have fascias (and instead have wooden planks) replacing old for new can really lift the appearance of your home (in addition to making it all the more water proof and easily maintainable). Windows can sometimes go for years without seeing so much as a squeegee, and yet window cleaning services are often so reasonably priced (and can make for a real difference for the exterior appearance of your home). So add some sparkle and don’t forget to take down your nets, curtains or blinds for a thorough clean at least every 6 months. You may also want to consider replacing any window dressing with something that is colourful both back and front and add centre ornaments to create a little interest from an outside view of your home. Heat pumps are becoming hot property in the United States, as more American households realize how efficient and effective these heating and cooling systems are. Do you want to live in a comfortable home? As winter approaches, we’re sure that’s on your mind. Heat pumps can make it happen. They heat and cool consistently, so your house stays at a steady temperature with no unpleasant hot or cold patches. Do you want to heat and cool your home without causing undue harm to the planet? If you’re like many Americans, you’re probably looking for more sustainable and energy-efficient ways to live your life. Heat pumps are much more environmentally friendly than many other commercial heating and cooling options, so they’ve been embraced by homeowners seeking more balanced temperature control solutions. It takes very little energy to move heat from one place to another, as heat pumps do. These units also don’t burn fuel like many other home-based heating units, so they won’t release noxious gas into the atmosphere. Do you want to save money on your utility bills? Of course you do! As the price of power soars, heat pumps yield year after year energy savings that can quickly offset their upfront costs. Since they use less energy than other heating and cooling systems, you’ll quickly notice the savings on your power bills. Most Americans don’t know a lot about heat pumps, but the infographic below, published by Griffith Energy Services, should answer any questions you have. It explains clearly how heat pumps work, why Americans just like you love them, and how much money and energy they can save. There are only so many DIY projects that we can do around the house, and sometimes we need to learn that we may need a professional to fix something that’s broken or to build something that is a bit out of our expertise level. So do you want to call your local handy man services but you have no idea how to find the right one for you? Well, this simple guide will help you through the process of finding the perfect fit for your job. Before you go out looking for a handyman you need to know what work you want done around the house. Go around and make a list of all the things that you either want built or fixed and this will help the process enormously. Once you know what it is that you need done around the house then you can decide on the skills and expertise that your handyman need to have in order to do the jobs at an adequate level. 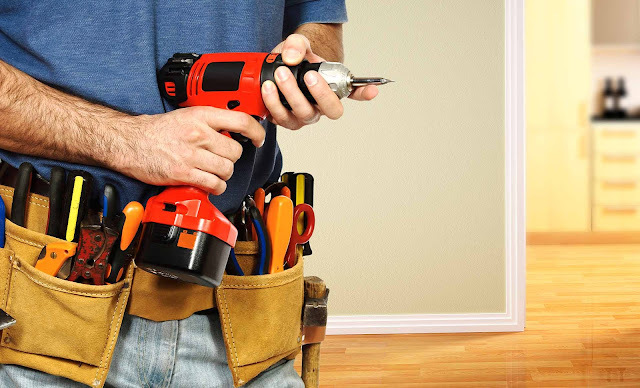 Unfortunately sometimes a handyman simply can’t do all the work that you need around the house and in this case it is best to get hold of a licensed professional such as a plumber or electrician for particularly skilled jobs. Chances are that someone in your immediate circle will have the name of a handyman that they have used- this could be friends, family, co-workers or sports partners. Make a list of all the names given to you and create a list of the best four or five prospects available. You could also try get names from local real estate agents or home improvement stores close by. This list is basically the beginning of the screening process. Before actually meeting the handyman you should do an online search for them and gather whatever it is you need to know. Previous customers will leave reviews and comments on them and this is a great opportunity to weed out any of the sub-par people from your list. One of the most important aspects of hiring a handy man is ensuring that they are fit to do the jobs that you require around the house. Make sure you check what the strength of each handyman is, as there is no point in hiring someone if they specialize in the complete opposite of the work that you need done. 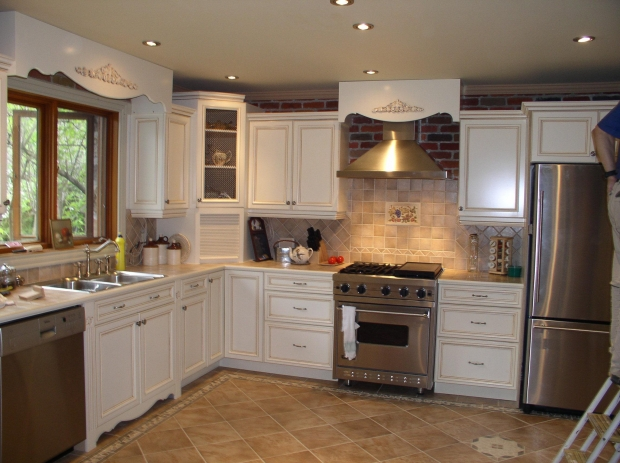 It is essential that you hire a handyman that you get along with well. This person in going to be in your space and in your house for quite a long period of time, and therefore it’s important that you click. You also need to go with your gut instincts on whether you can trust them or not, as sometimes you will be leaving them at your home unattended and there is no point in hiring someone if you have to worry about your home every time you leave. Are you moving into a newly built home soon? You may be wondering how you can transform an empty shell building into a beautiful contemporary home. It’s the kind of project many of us would like to get our hands on. But when you’re going to be living there, it can suddenly become quite a daunting task load. To draw some inspiration for the decor of your new home, visit the show home of your builder. You can always check out the website of companies like Linden Homes to gain insight into the latest trends. Buying a newly built home certainly gives you options. But it would be best to stick with contemporary designs to match the age of the building. Some builders offer you the options for some of the designs inside. They may be limited, but they can often help you get started with building up your own style. Bathroom tiles, flooring and wall colour, can often be chosen and installed before you move in. This is a huge help when you have an entire house to decorate. Have a look at the options. If you think they may complement your design ideas, then take advantage of them. When you’re buying a brand new house, it is a nice idea to buy brand new furniture for it too. Having everything fresh and crisp and clean makes for a great start to your new life. New homes feature large open plan areas. This lends itself to furniture that is versatile in placement. But it may also require that you carefully match your colour palette across the entire range of furniture you choose. Buying furniture from a single store isn’t essential, but it can help you match ideas when they’re all together. Alternatively, why not try stark contrasts to make each piece pop? Statement pieces and designs can make your home immediately stylish and chic with a modern look. Blacks and whites or another bold color like reds or blues can be energetic and dynamic in a brand new home. If you have built your own home, then it is much easier to plan how you will design your interior. Buying a newly built home from a builder’s plan can actually offer you more choice. Most new homes are designed to be improved, extended or converted. Over time, you may want to alter your living areas to suit better your lifestyle as it changes. Simple things like loft conversions can be easier to do in standard design than in a home purpose built for your life right now. One key area that can lead to disappointment without your direct intervention is the bathroom. While there may be choices in tiles and paint finish, many homes have a panel bath installed. If you want something more contemporary and stylish, you may need to speak to the company selling the home. It may be possible to negotiate a price for something else to be put in its place. It would be a shame to rip out a brand new bathroom to get what you want. Make your new build house into your dream home.